This mention did not go unnoticed by you, our readers, who wrote in to request the recipe for Maddie鈥檚 cheesy pasta casserole. So without further ado, here it is: the baked mac and cheese that my whole family swears by. Too often, baked mac and cheese casseroles are reserved for weekend dinners or even holiday tables. This recipe is set up so that you can make it on even the busiest night of the week (which, let鈥檚 be honest, is when we鈥檙e really craving the comforting dish). You don鈥檛 have to make homemade breadcrumbs, finely chop an onion, or temper an egg. All you have to do is boil some noodles, grate some cheese, and make a simple b茅chamel. What makes it so special is that each component is thoughtfully planned out. 1. 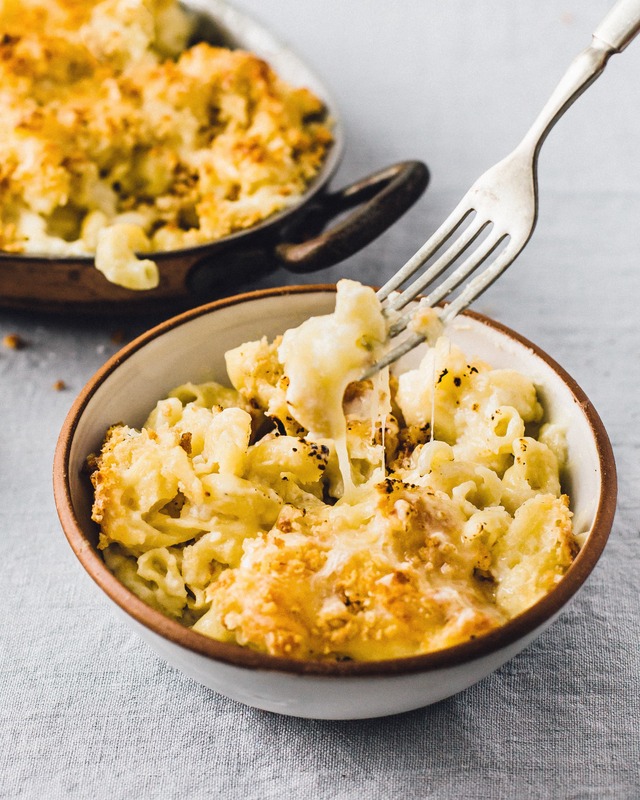 The cheese: The best mac and cheese recipes employ a mix of sharp, nutty, and melty cheeses. For this reason, Maddie likes sharp white cheddar for its flavor, shredded Parmesan for its salty, nutty kick, and fontina for its great melting abilities (read: cheese pulls galore). 2. The b茅chamel: Maddie鈥檚 b茅chamel employs a smart technique that makes for a foolproof sauce every time: warming the milk in a separate saucepan before adding it to the roux. Because the milk is already warm, it quickly and more seamlessly mixes with the roux to create an impossibly creamy and perfectly thick sauce every time. 3. 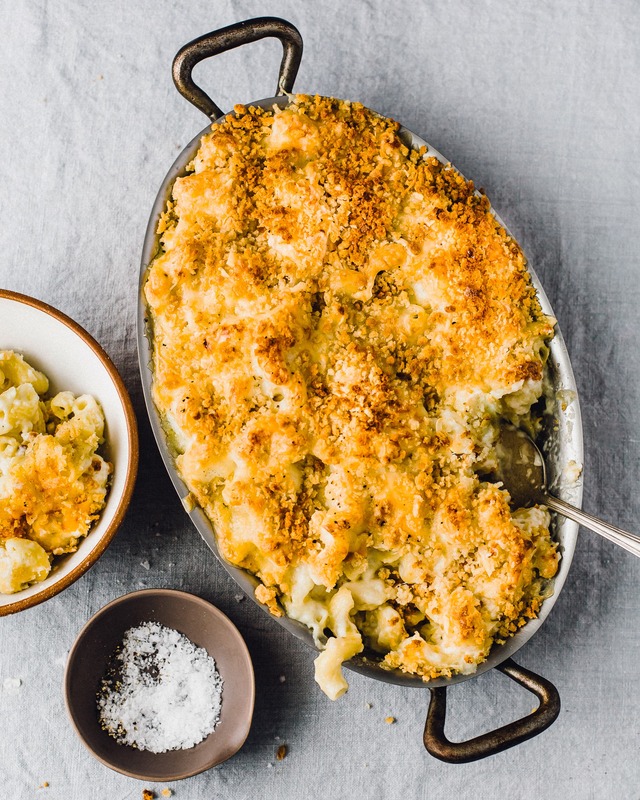 The topping: A lot of mac and cheese recipes ask you to toast the breadcrumbs before piling them on top of the noodles. Not this one. Instead, you鈥檒l toss panko breadcrumbs with melted butter and a pinch of salt, then sprinkle them on as is (but not before adding more cheese on top of the noodles). As the casserole bakes, that extra cheese melts into the casserole, and the buttery breadcrumbs toast until beautifully golden-brown, adding delicious crunch to every bite. 4. The vessel: Maddie鈥檚 Mac and Cheese bakes in a 2-quart baking dish (as opposed to the standard 3-quart, or 9脳13-inch, casserole dish), meaning it will easily serve 4 to 6, but you won鈥檛 be left with an obscene amount of leftovers. Because, let鈥檚 be honest, mac and cheese is best when it鈥檚 warm and bubbling and served straight from the oven. Arrange a rack in the middle of the oven and heat to 375掳F. Lightly grease an 8x8-inch (or other 2-quart) baking dish with butter. Melt 1 tablespoon of the butter in a medium microwave-safe bowl. Add the panko and a pinch of salt and toss to combine; set aside. Bring a large pot of water to a boil. Add the pasta and a generous amount of salt. Cook according to package directions until al dente. While the pasta is cooking, warm the milk in a medium saucepan over medium heat until warm to the touch but not boiling. Drain the pasta and set it aside. Melt the remaining 3 tablespoons butter in the now-empty pasta pot over medium heat until bubbling. Add the flour and cook, stirring, until golden-brown and fragrant, about 2 minutes. Gradually whisk in the warmed milk about 1/2 cup at a time, whisking well after each addition. Once all the milk is added, bring the sauce to a simmer and cook, stirring continuously, until noticeably thickened, 2 to 3 minutes. Remove the pot from the heat. Add 3/4 cup of the cheddar, 3/4 cup of the fontina, 1/2 cup of Parmesan, 1 teaspoon of the salt, and several grinds of black pepper. Stir until the cheeses are melted. Add the cooked pasta and stir gently until evenly coated with sauce. Transfer to the preapred baking dish. Sprinkle with the remaining 1/4 cup cheddar, 1/4 cup fontina, and 2 tablespoons Parmesan cheeses. Evenly sprinkle the panko mixture over the top. Bake until bubbling and golden-brown, 30 to 40 minutes. Make ahead: This recipe can assembled and refrigerated up to 2 days ahead before baking.